The highly acclaimed The Stray Birds visited London recently for a date on their 2016 UK tour to promote their ‘Magic Fire’ release. The show was promoted by those lovely folks at Green Note who moved from their bijou Camden home to Shepherds Bush and the more palatial (if a 350 capacity can be considered palatial) confines of Bush Hall to allow for the anticipated attendance. This turned out to be excellent decision as The Stray Birds and opening act The Goat Roper Rodeo Band pulled out all the stops before a very appreciative and attentive audience. On my occasional visits to the Bush Hall I’ve always been impressive by the sound in the venue and tonight was no exception. A long room with a high ceiling the acoustics here are wonderful and as it seems obligatory for all reviewers to mention the venue I’m not going to break with tradition. A listed building that dates back to 1904 it has had a varied usage over the years with stints as a soup kitchen, dance hall, bingo hall, rehearsal space for The Who and Sir Cliff Richard in the 60’s and a snooker club in the 80’s before it was restored to former glories in 2001. The result of these renovations is that Bush Hall is a great venue for both the artist (The Stray Birds were obviously impressed with the venue during their performance) and those of us who turn up to listen. 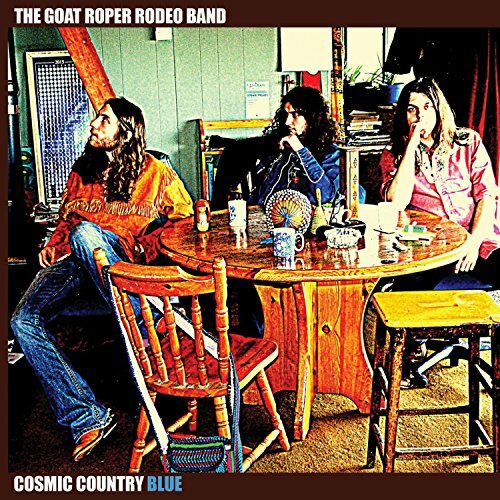 Opening act this evening The Goat Roper Rodeo Band got things off to a rousing start with an impressive set in the main culled from ‘Cosmic Country Blue’ their recent Aveline Records release. With just two guitars (Jim Davies & Sam Roberts), a double bass (Thomas Davies) and some quite stunning harmonies the trio had the crowd eating out of their hands. The band hail from North Wales and look like a bunch of Lynyrd Skynyrd roadies (and I mean this is a nice way) which might have initially thrown some of the audience but they have exuberance in abundance as they rattled through a sweaty set of old school country blues. The guys are equally at home with the rollicking ‘Mean Man’ and ‘I Got Room’ as they are the soulful balladry of ‘Don’t Believe In You’ or the swaggering ‘Rhythm Of Love’ and as a side note it’s great to find an audience so quiet for the subtler moments. The merchandise booth seemed to be doing good business after their set so I’m guessing they gained a fair few new believers tonight. The Stray Birds opened with ‘Best Medicine’ and it was very apparent from the get go that The Stray Birds are something very special indeed. I’d only recently discovered the band through their latest ‘Magic Fire’ album which is an excellent record with great songs. On stage they really are something else and in Maya de Vitry (vocals, guitar, fiddle) have a singer of immense talent with a voice that has range and depth. I was honestly blown away by how good she was this evening. The Stray Birds is very much a collaborative effort and the trio are rounded out by Oliver Craven (vocals, guitar, fiddle, mandolin) and Charles Muench (bass, vocals) which makes for impressive vocal harmonies and the guys also take lead vocals on occasion throughout the evening with Oliver showing his impressive musical chops throughout the set. The trio recently opened out their sound to a quartet with the addition of drummer/percussionist Dominic Billett to the fold and this works really well as he bashed, rattled and shook a variety of apparatus. 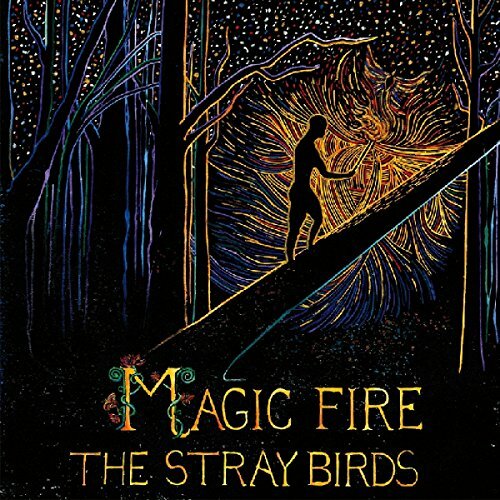 The Stray Birds mixed things up well during their set as the majority of ‘Magic Fire’ was aired with ‘Fossil’ and the ridiculously catchy ‘Third Day In A Row’ highlights while a glorious ‘Somehow’ featured harmonies of which Don and Phil Everly would have been proud. I’m pleased to report that the band didn’t ignore their earlier material with ‘Harlem’ a near perfect blend of gentle harmonies and languid guitar playing a definite highlight of the evening. Always a band to embrace their roots Charles Muench took over the lead vocalist spot for some old-school country with renditions of the Caleb Klauder (Foghorn Stringband) song ‘New Shoes’ and the Jimmie Rodgers classic ‘Blue Yodel #7’ while Oliver Craven added some quite lovely mandolin to the Susanna Clark penned ‘I’ll Be Your San Antone Rose’. The band concluded their set with an energetic and crowd pleasing ‘Sabrina’ and would have been keen to play longer if time had allowed. Tonight was a great night as The Stray Birds cemented their reputation as one of the very best bands around at the moment while The Goat Roper Rodeo Band won me over with an exuberant set that bodes well for the future. Gig Date: 20th October 2016.